Book Girl, the protagonist of the show. My Special Book is a Canadian live-action children's television series that aired on YTV Jr. and Treehouse TV from 2000 to 2006. The show began with an opening scene of a sleeping child in bed, and a book in the background opening up revealing the world in which Book Girl and her friends lived. The show would end with Book Girl closing the book. An LMW investigation into the show began on July 21st, 2017 which revealed that the series was first aired in 1998. 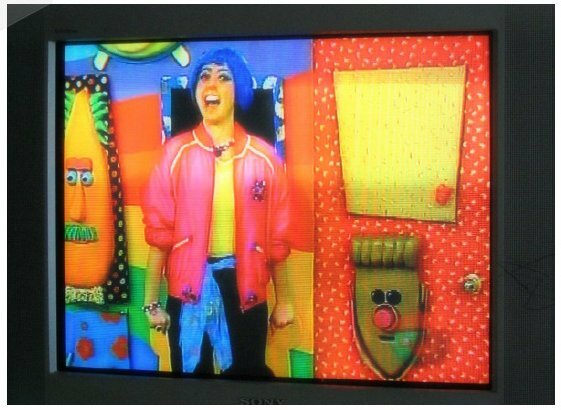 However, A later enquiry by canadianchildhood into treehouse TV guides showed that it had actually first aired in May 2000, and that it was only produced starting in 1998. Though the show was often known to have been broadcast on Treehouse TV, it was discovered that YTV was the original producer of the show, playing it on YTV Jr., which eventually transferred its shows to Treehouse TV upon discontinuation. On March 21st, 2019, YouTuber Logan Maxell uploaded a recording of an episode of the show. The one found episode of the show.